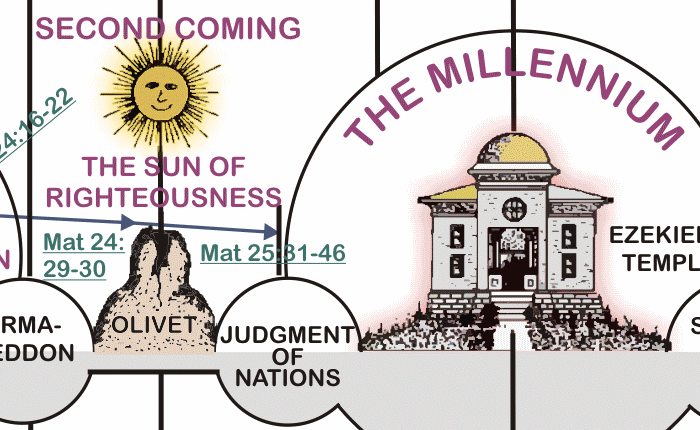 Clarence Larkin’s “The Perspective Of Prophecy” chart redrawn in color and high resolution. This is one of Larkin’s most detailed and popular charts originally found in his book “Dispensational Truth.” It was redrawn in Corel Draw by Tim Morton. This chart is in very high resolution (5000 x 2222 pixels) and is suitable for any production purpose from printing to projector usage. The image can easily be divided into sections for teaching purposes.